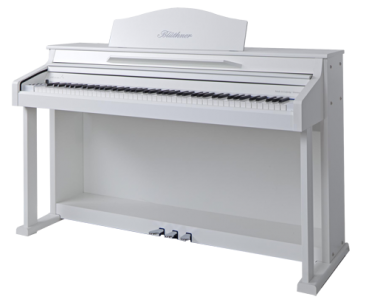 The e-Klavier 1 offers beginners as well as professional pianists the highest level of playing comfort. The Blüthner Grand Touch action with built-in escapement is weighted in 4 zones for a natural feel, enabling one to explore every nuance of the Blüthner Model One concert grand voice. The Blüthner Direct Control Interface (DCI) operating concept provides quick access through a simple 9-button panel. All functions and sound selections are at your fingertips, including the metronome, fine tuning, transposition, recording and keyboard touch-weight adjustments. 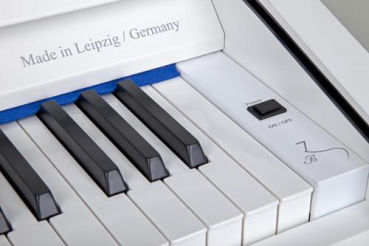 The audio system of the e-Klavier 1 is unique in its class. 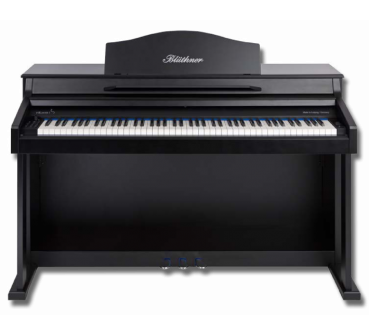 Developed with the latest digital technology, the e-Klavier 1 features 2 x 50 watt amplifiers and a set of 6” broadband speakers that deliver a rich, acoustical sound.